Select Check Spelling from drop down menu. Note: if spell checker icon is already selected (i.e., icon is pressed in) - click on it and select Check Spelling from menu). 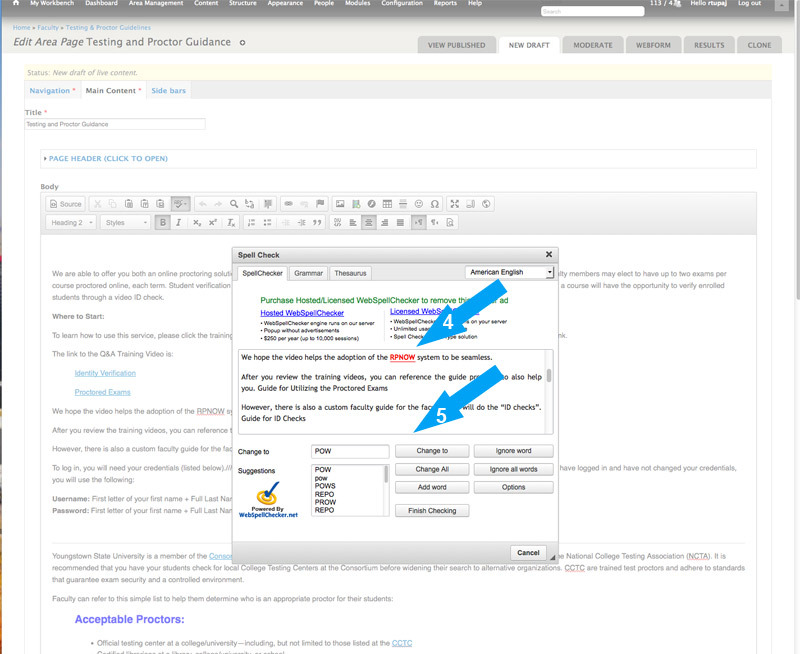 If the word is a proper term (i.e., YSU, Beeghly, person’s name, etc., select the add Word button. This will add term to the Drupal dictionary and will eliminate potential misspelling identifications associated with it. Caution: make sure you are certain that the word is a correct term before adding it to the dictionary. This will remove it from future spell checks. Other options include, ignore and ignore all. This will only ignore this term in the current document. This would be a good selection for document specific terms that are not anticipated elsewhere on your site. Caution: ignore the Options button. 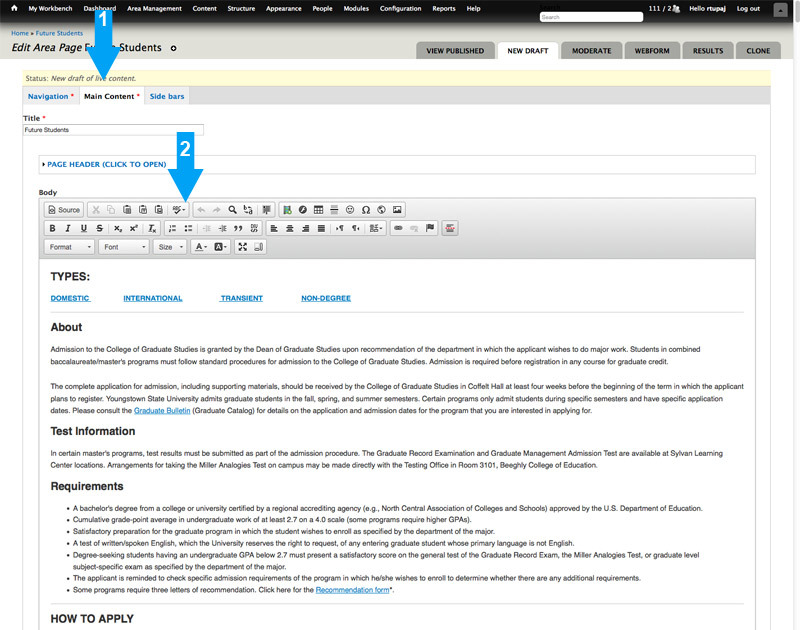 This will affect all YSU Drupal pages using the spell checker. 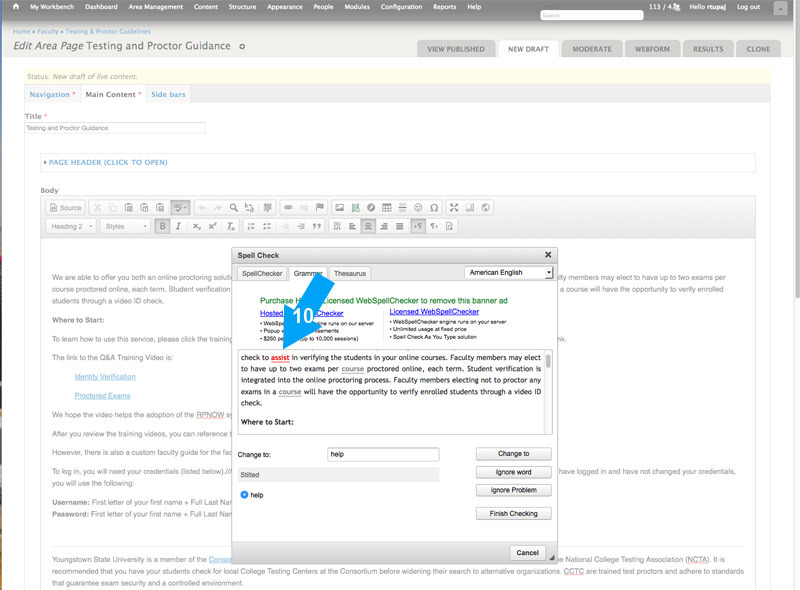 Grammar tab provides an additional content check. Options include: Change to, Ignore word, and Ignore Problem. Click Finish checking button when done with spell checker.